The apostle further wrote that, after we have given our lives to Christ, we should live a new life as becoming the saints. We should put on the new man, which after God is created in righteousness and true holiness. 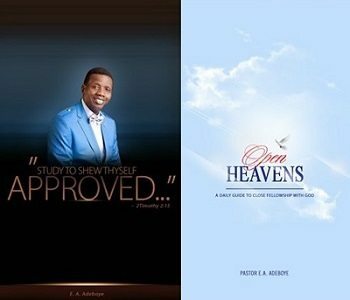 26 October 2016 Open Heavens. This is the only way we can live for God and not for ourselves. May the Lord grant us the grace to live acceptably before Him in Jesus’ name. Father, help me to live for You alone in Jesus’ name. October 26th 2016OPEN HEAVENSPASTOR EA ADEBOYERCCGWednesdayWHAT ARE YOU LIVING FOR?